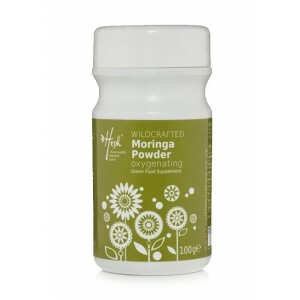 Moringa contains essential nutrients for the body and helps to detoxify the system. 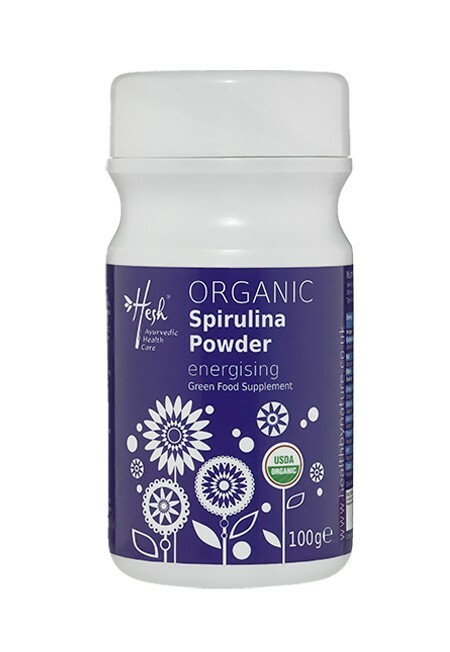 A rich source of vital vitamins, minerals (including iron, calcium, magnesium and phosphorus), all amino acids, beta-carotene and protein, moringa is known as a natural energy booster. Moringa is considered to have the highest protein ratio of any plant, with the protein content being comparable in quality to that of soya. The moringa tree, known by many as the horseradish tree, miracle tree or the drumstick tree, is native to India and is considered to be one of the most powerful health-enhancing plants. It has been used for millennia in the holistic remedies of Ayurveda. The leaves, flowers, pods, seeds, roots, bark and oil of the moringa tree are all used for their health benefits. 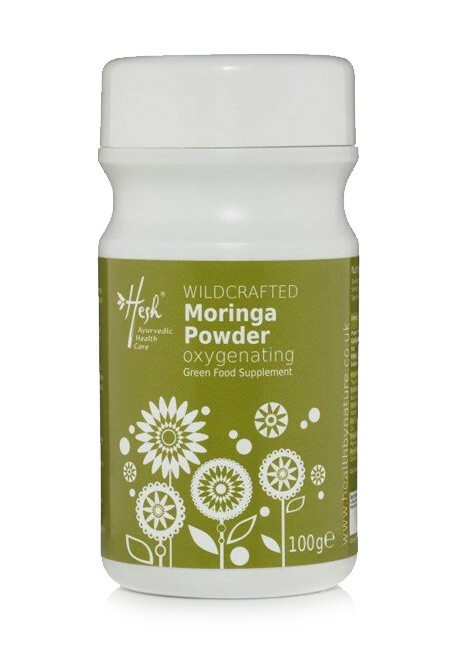 Moringa powder is made from naturally dried leaves of the moringa tree. Moringa has also been used for centuries for balancing pH levels, blood sugar and cholesterol levels due to its stabilising effect. 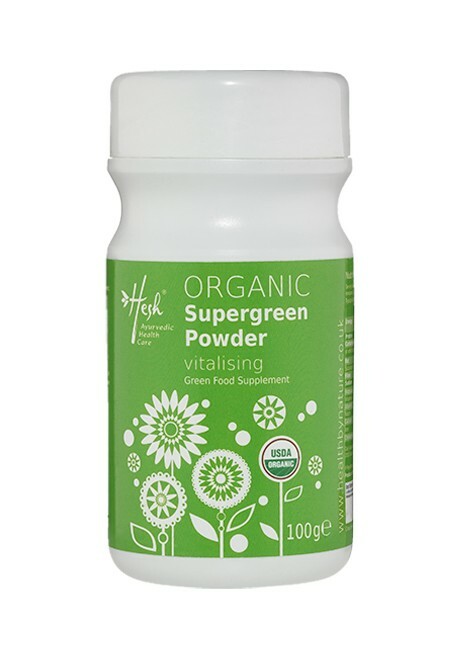 Our holistic supplement is 100% raw, pure and natural, and free-from any GM ingredients or artificial preservatives. Wildcrafted sourced to ensure a premium, ecologically-farmed green food supplement.